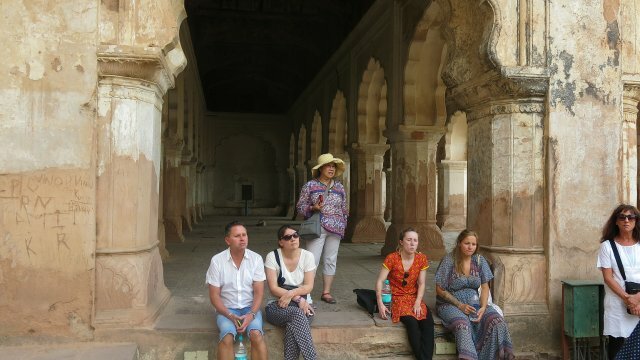 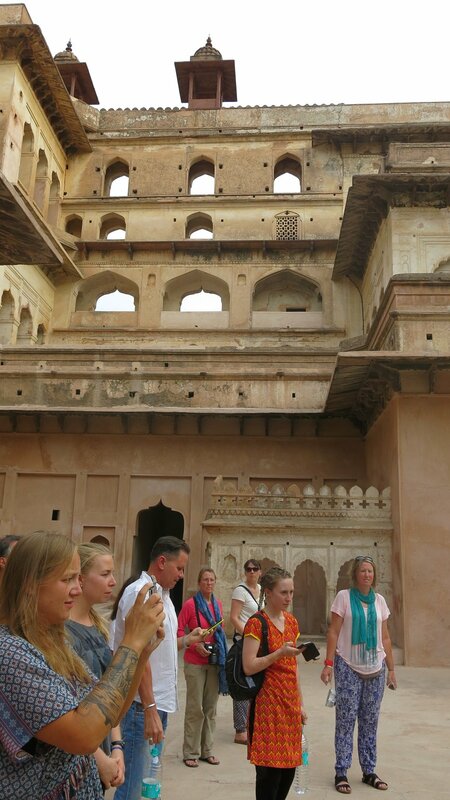 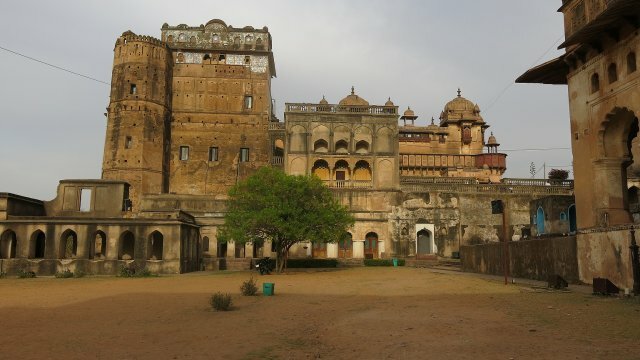 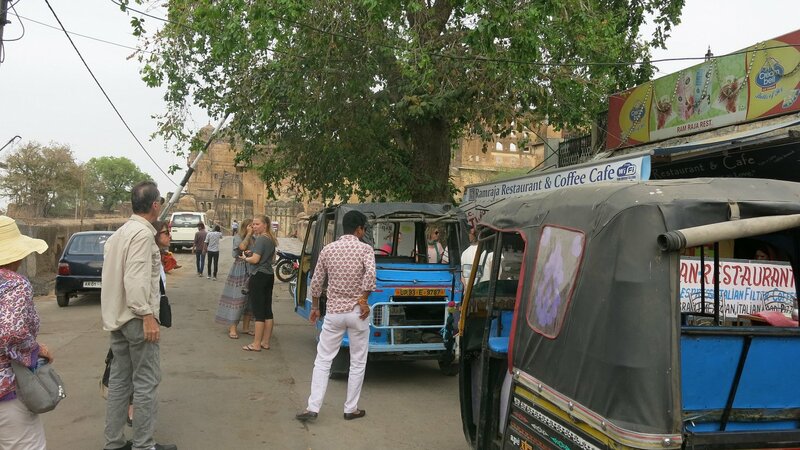 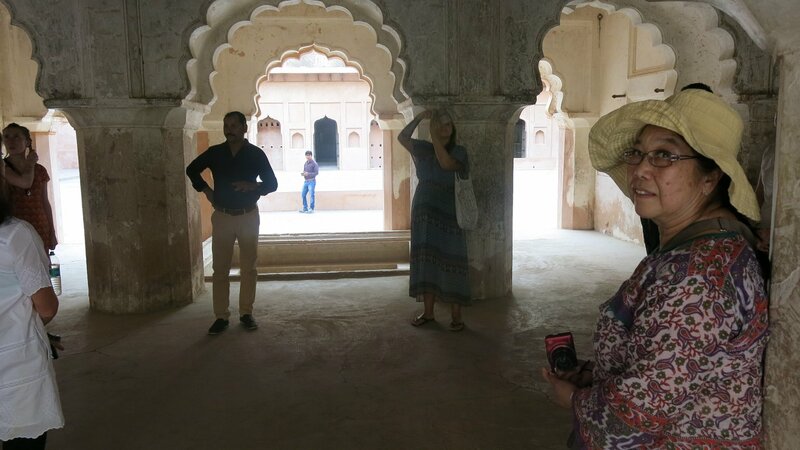 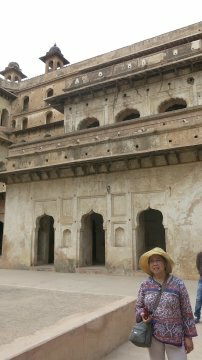 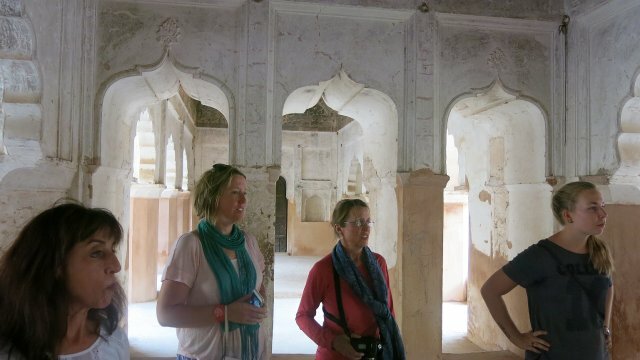 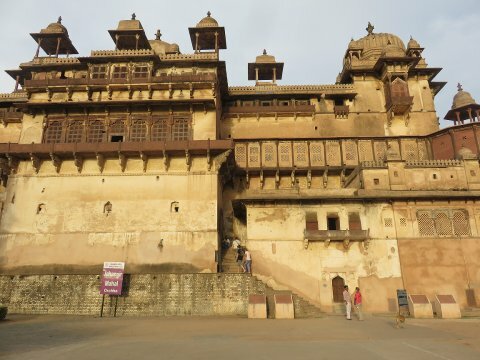 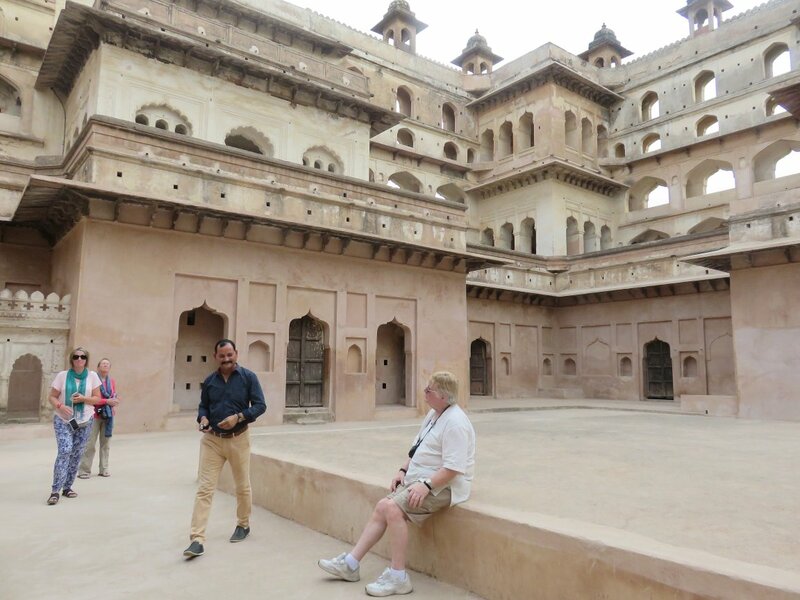 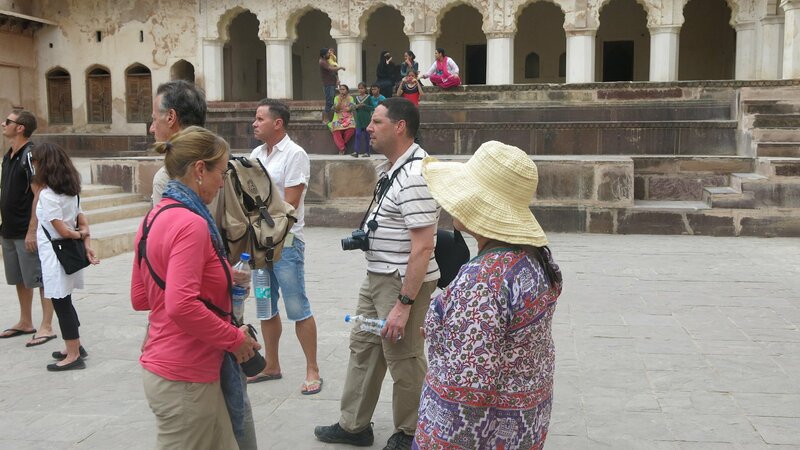 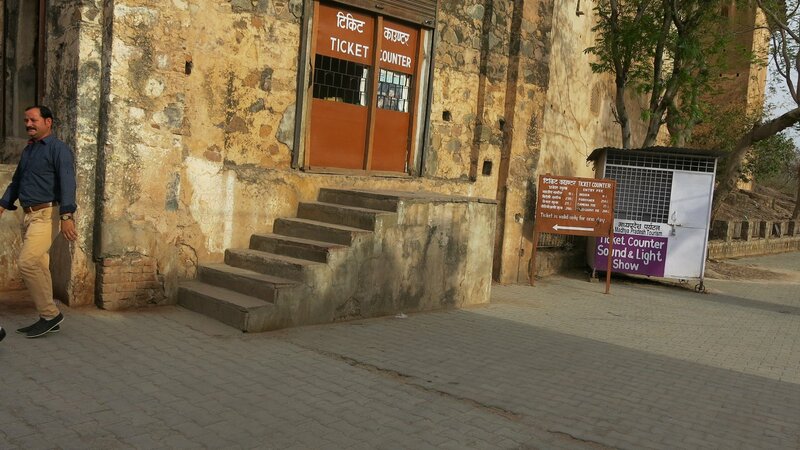 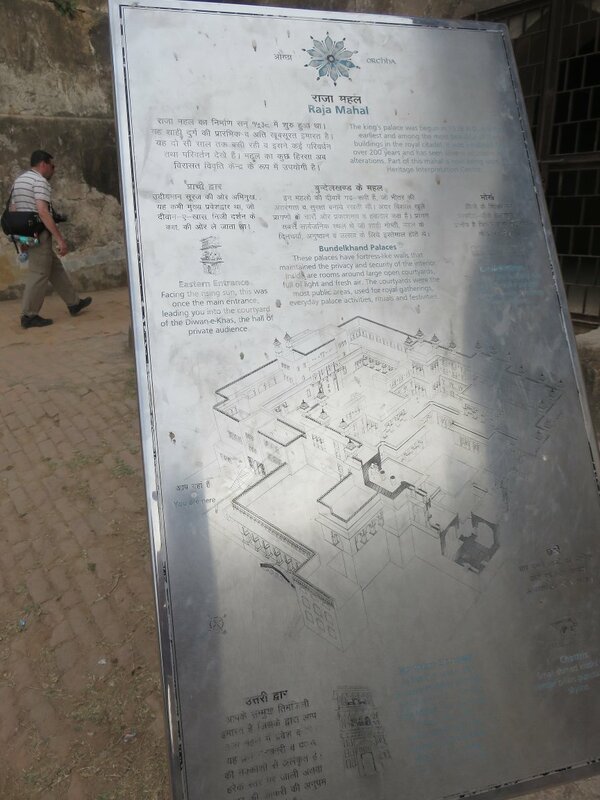 A local tour guide took us through the Orchha palace complex after we were bounced heartily along in tuk-tuks. 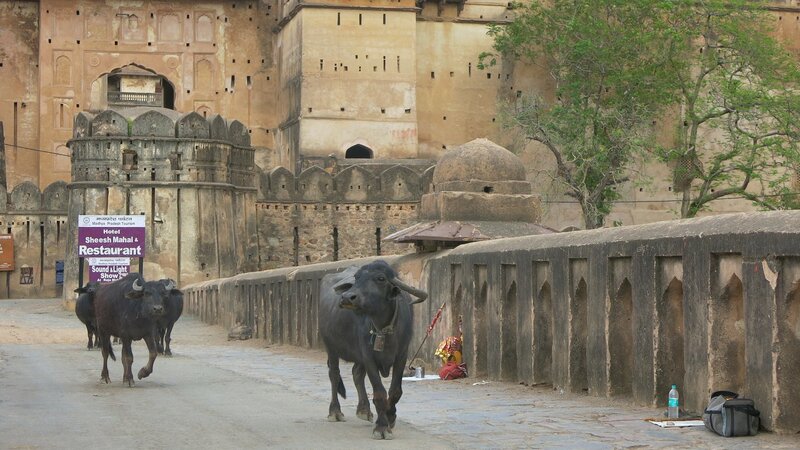 These were very impressive and Indu (our local guide) had many interesting stories to relate. 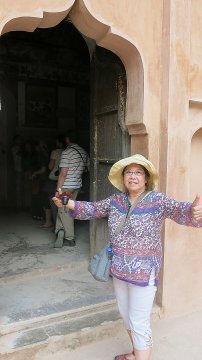 One was about the Prince who fell in love with the King's "private dancer". He had his own palace opposite the king's. 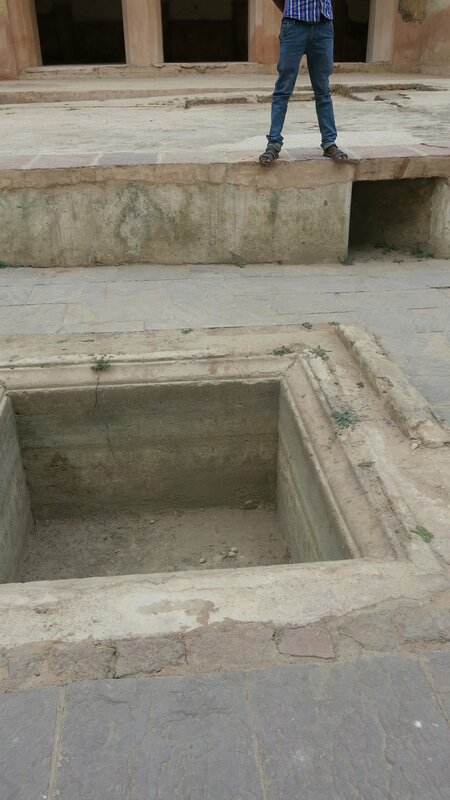 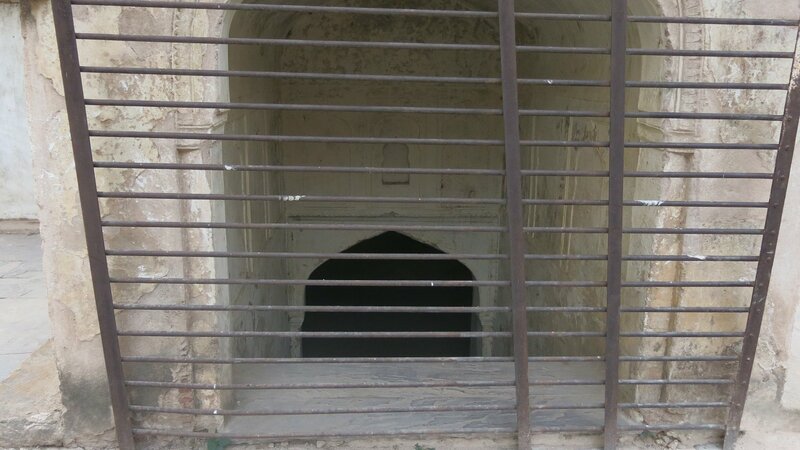 As he could not let people know his feelings for the dancer and wanted to visit her palace (behind his), he spent three years digging a tunnel from his palace to hers so they could meet in secret. 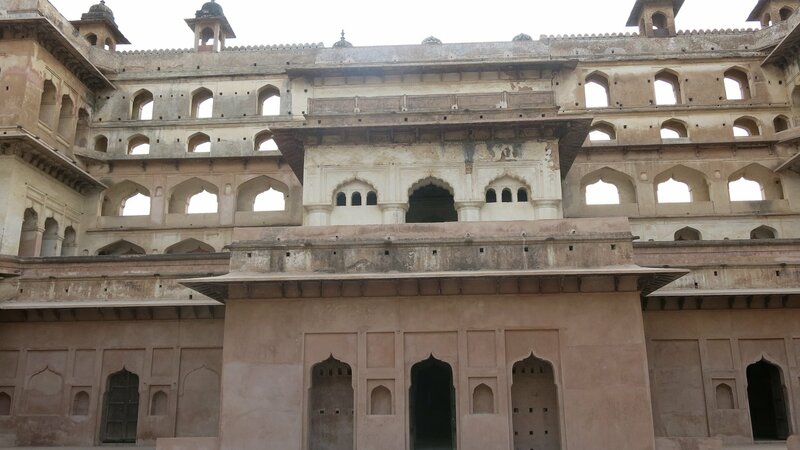 Another story was about another big palace that was a gift to a Moghul prince. 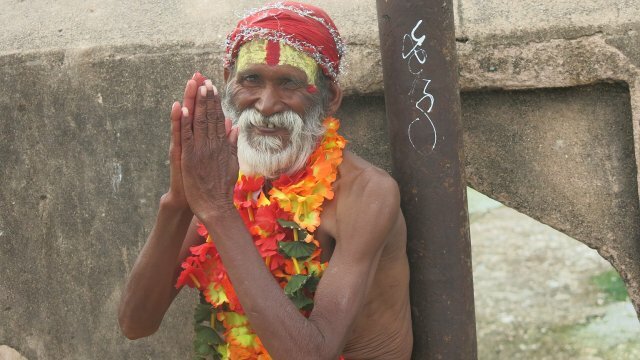 It was gifted on the day before he left to travel somewhere. 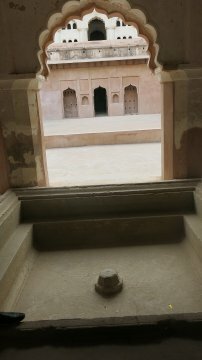 He died so the palace was only used for one night. 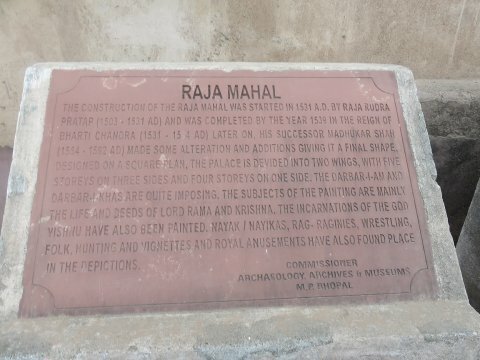 In Hindu custom, once gifted, the building cannot be used by any one else. Some of us climbed all the way to the top of the king's palace. 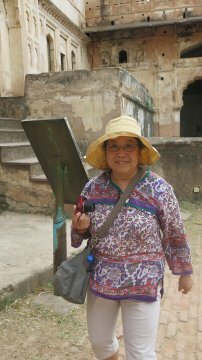 It was hard work as the stairs were steep with high steps. 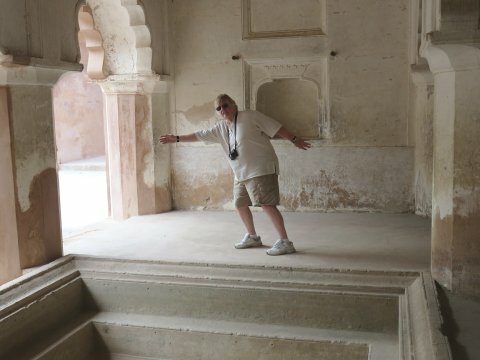 Bill, nursing a sore knee, opted to stay down in the cool A/C lobby room of the hotel (which was once also part of the palace complex). 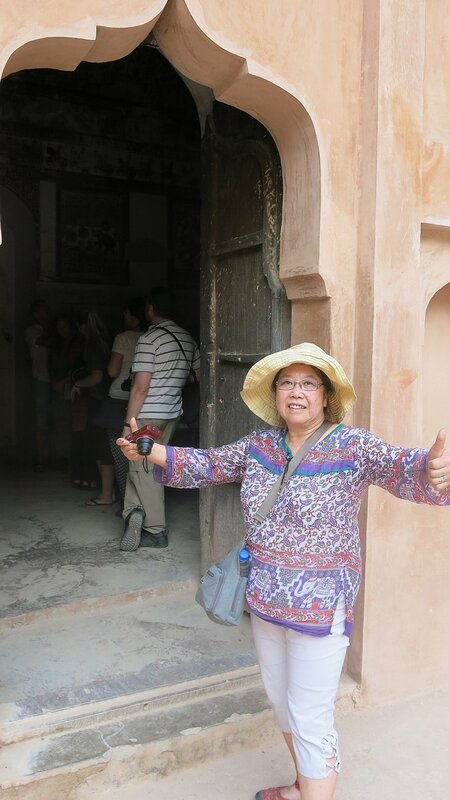 Sue-On complained that the climb both up and down was a challenge for this old grandma. Later we were in a good position on the palace terrace to catch the sunset over the temples and palace spires. 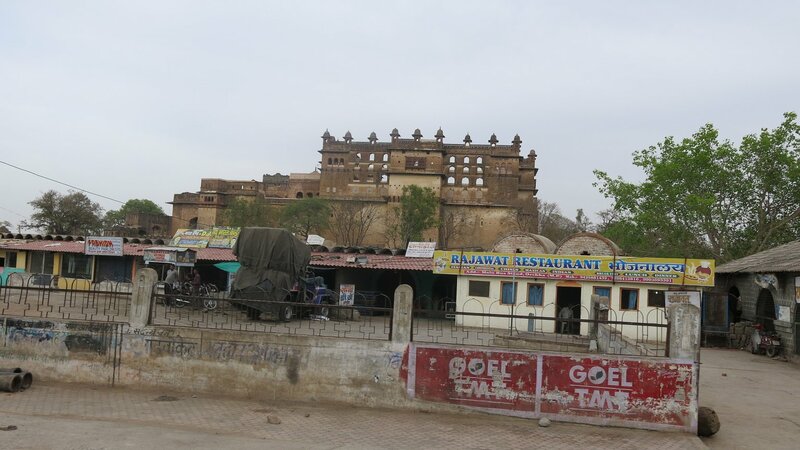 Jahangir Mahal is a citadel and garrison and includes a palace that dates back to the 17th century A.D. when the then ruler of the region built the structure as a symbol of warm reception during Mughal Emperor Jahangir’s one-night visit to the city. 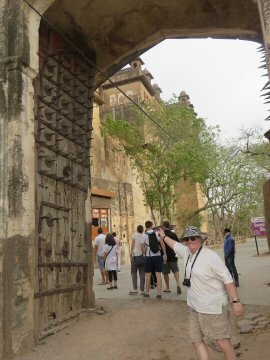 The entrance is marked by an artistic and traditional gateway. The front wall of the structure faces to the east and is covered with turquoise tiles. 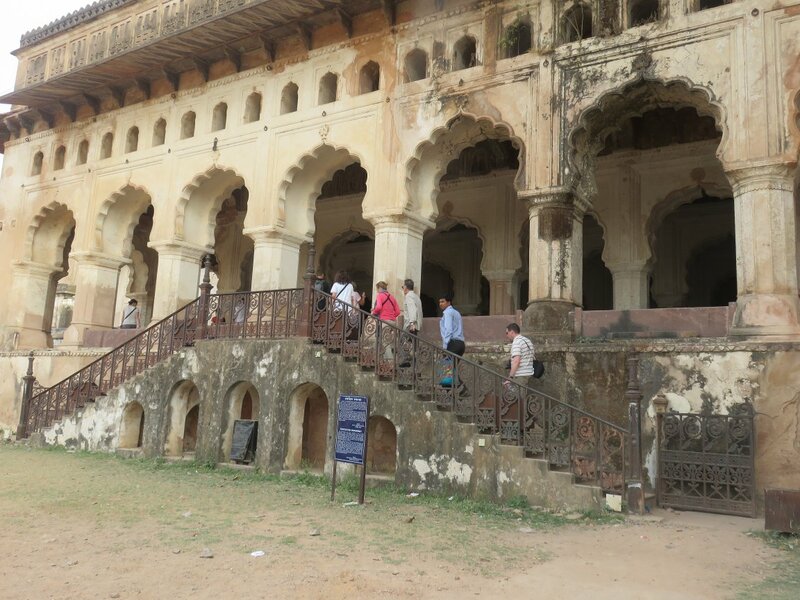 Jahangir Mahal is a three storied structure that is marked by stylishly hanging balconies, porches, and apartments. 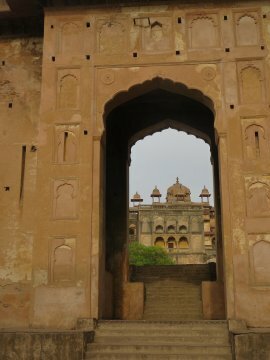 The fort complex, which is accessed from an arched causeway, leads to a large gateway. 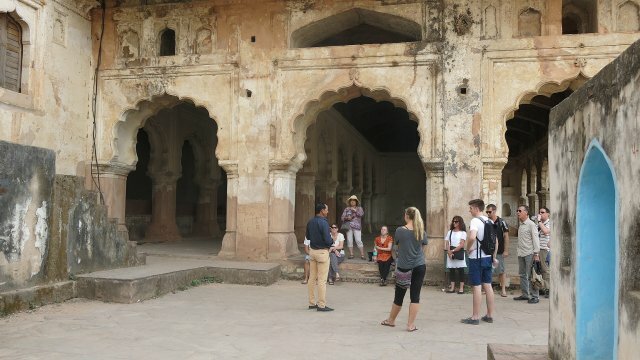 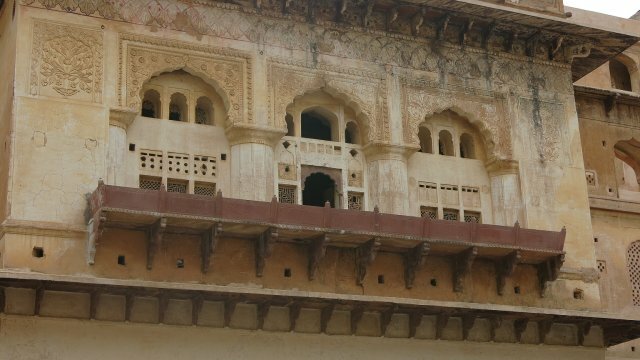 This is followed by a large quadrangular open yard surrounded by palaces, a temple, gardens and pavilions and Sheesh Mahal, built for royal accomodation but now converted to a hotel. 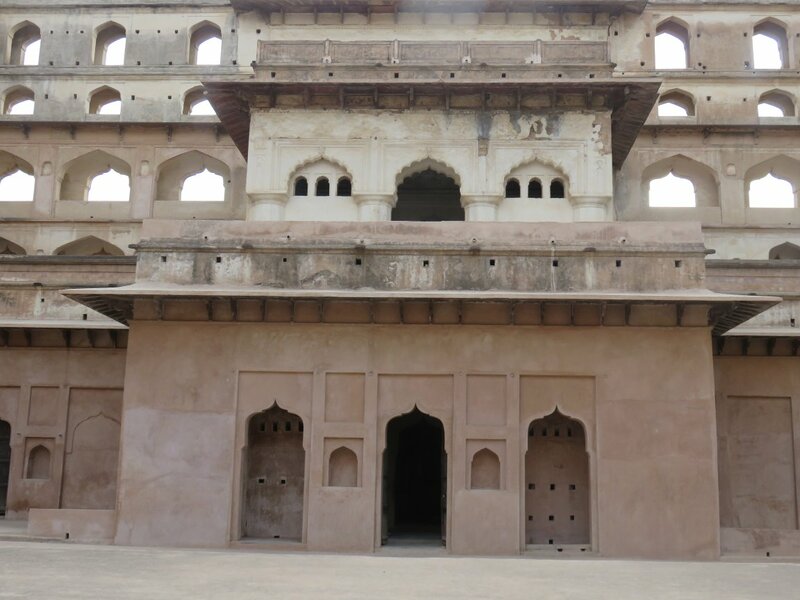 The interior of this edifice consists of a huge impressive hall with high ceiling, which is the dining hall. The battlements of the fort have ornamentation. 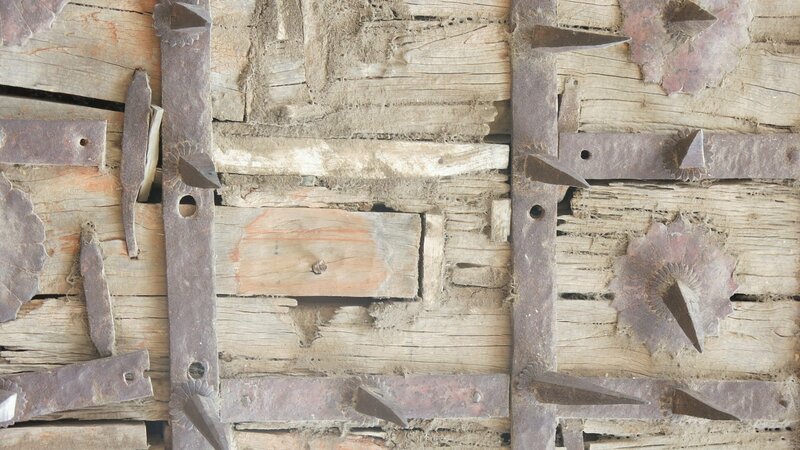 Notable architectural features in the fort complex are projected balconies, open flat areas and decorated latticed windows.